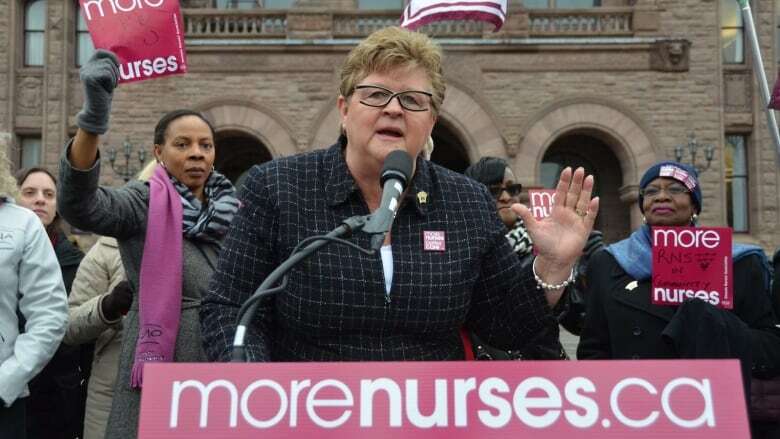 The Ontario Nurses Association says hospitals will no longer be allowed to shame health-care workers into getting a flu shot following an arbitrator's ruling striking down a "vaccinate or mask" policy. The policy made private medical information public because everyone could tell who had been vaccinated and who had not, said Dr. Michael Gardam, director of infection prevention and control at the University Health Network and Women's College Hospital in Toronto. "Essentially they are outing you, because your personal health information -- whether you get vaccinated or not -- is now public knowledge because you're forced to wear a mask," said Gardam. "People know who you are." Arbitrator Jim Hayes found the "vaccinate or mask" policy was unreasonable, and "a coercive tool" to force heath-care workers to get the flu shot. Experts testified that it was illogical to force healthy nurses to wear masks, and Hayes concluded the masks were not protecting patients or nurses from the flu. "The sad part about it is it was giving our patients a false sense of security, and we knew that," said Haslam-Stroud. The Ontario Hospital Association said it was disappointed in the arbitrator's ruling. "In light of the arbitrator's decision we are considering a number of options," said OHA president Anthony Dale. "In addition, we will continue to work with government and our partners on best practices for the upcoming flu season." The influenza vaccine is only about 40 to 60 per cent effective even in good years, said Gardam, which means all hospital workers should wear masks all the time if they were actually effective at preventing the spread of the flu. "So the only way you can really explain that argument is to say 'well, it's not really that the masks are working,"' he said. "It's because the masks are a way of driving you towards vaccination." The policy "was symbolic rather than a scientifically based tool in the fight against influenza," and amounted to a "draconian shaking of the finger at nurses," said Haslam-Stroud. The 60,000-member ONA said there are provisions in its agreements with hospitals that require a non-vaccinated nurse to move to another ward if the medical officer of health determines there is a flu outbreak in the area where she works. "I am not going to suggest that anyone should be forced to take the vaccine," said Haslam-Stroud. "I personally take it, but it is an individual right as a nurse." The 'vaccinate or mask' policy started in British Columbia hospitals before moving to some health-care facilities in New Brunswick and Ontario.